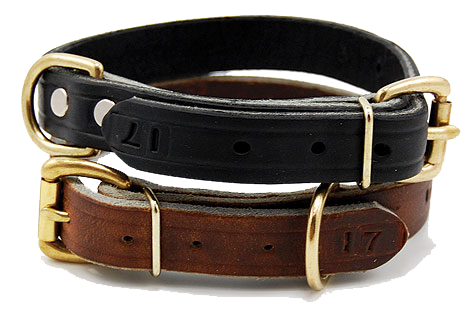 Made of top grade latigo leather with all brass hardware, these utility collars come in three popular widths and 2 size lengths. Excellent for Police K-9 training and handling, tracking and sports. 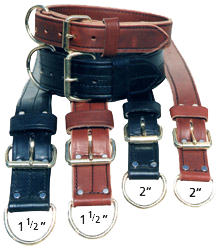 All are available in burgundy, black, or brown. Small fits 14" - 20" Large fits 18" - 26"